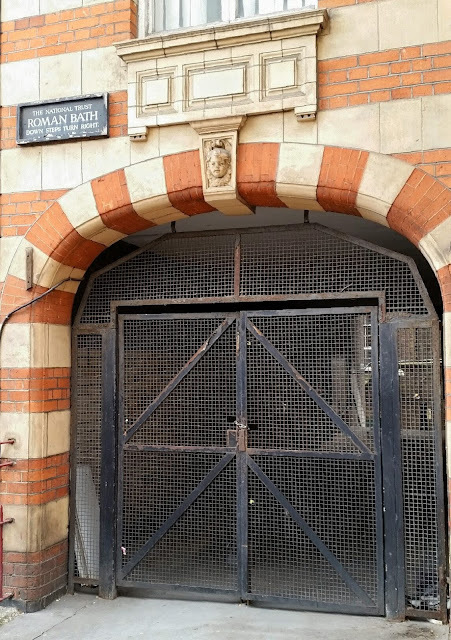 The Roman Bath, in fact, dates from around the early 1600s, and is the last remaining part of a cistern, built to feed a fountain in the grounds of Somerset House. Falling into neglect, following the destruction of the fountain, they were brought back to life as a public cold plunge bath, in the 1770s. In 1838, a listing, in a trade directory, makes mention of Old Roman Spring Baths, and so the legend was born. The National Trust took control of the site in 1947 and, after some much needed restoration, opened them to the public in 1951. The Roman Bath is, once again, sorely neglected and I wonder if they will be restored, or updated, as a true visitor experience.